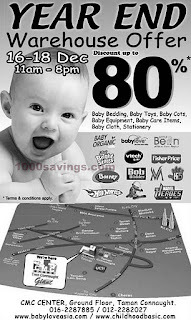 Baby Products Year End Warehouse Offer: Discount up to 80%! Baby Products Year End Warehouse Offer! CMC Center, Ground Floor, Taman Connaught.